Figuring out what to eat when you have stomach issues like IBS can sometimes be a real challenge. It doesn't help that nutritional science can be so contradictory at times. One of the more confusing areas of research has to do with one of the mainstays of our Western diet - wheat! Let's take a look at some of the main areas of research on wheat and its relationship to your digestive and overall health. This will help you to make an informed decision as to whether or not you should be eating wheat at all. Before we get into the science, it is important to recognize that most of us are eating wheat in amounts never seen before. Wheat is, of course, found in bread, pasta, crackers, cookies, cakes and other baked goods - you know, most of the stuff that people eat. But wheat has also found its way into soups, condiments, and even ice cream! You can see why it would be so important to be informed as to what role all of that wheat may be playing in your IBS and other health conditions. Wheat, and all of the many food products made with wheat, contains the protein gluten (as does rye and barley, for that matter). 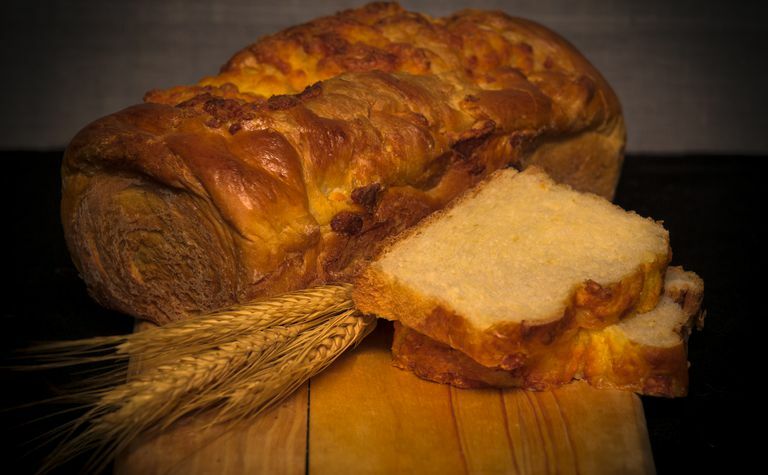 It is estimated that approximately 5% of people around the world have a gluten-related disorder. Non-celiac gluten sensitivity (NCGS) is a relatively new, and not yet fully established, diagnosis for people who experience gastrointestinal or extra-intestinal symptoms after eating foods that contain gluten. NCGS would be considered after celiac disease and a wheat allergy have been ruled out. Researchers have been conducting studies to see if a subset of IBS patients actually have NCGS instead. To date, I was able to find two double-blind placebo-controlled studies on the subject. One study found a prevalence of a gluten sensitivity in IBS study patients at 28%, while the other had it at a whopping 83%! One of these study write-ups included this quote, "A large number of patients labeled as irritable bowel syndrome are sensitive to gluten. Using the term of IBS can, therefore, be misleading and may deviate and postpone the application of an effective and well-targeted treatment strategy in gluten-sensitive patients." Wow! Stepping away from gluten for a moment, it should also be noted that there are other proteins within wheat that might play a role in any connection between wheat and IBS symptoms. Wheat contains more than protein. Wheat also contains the carbohydrate fructan. Fructan is one of the carbohydrates collectively known as FODMAPs that have been shown to exacerbate gastrointestinal symptoms in people who have IBS. Fructans have been shown to have an osmotic effect within the gut, meaning they increase the amount of fluid, as well as increasing gas production through fermentation by gut bacteria. Both of these qualities are thought to play a role in the IBS symptoms of abdominal pain, bloating, and the motility problems of constipation and diarrhea. Some researchers theorize that it is the fructan sensitivity that is actually behind what looks like a gluten sensitivity in IBS patients. This hypothesis is based on a small study in which people who had identified themselves as having NCGS reported improvement in their symptoms when placed on a low-FODMAP diet. For most patients, their symptoms did not worsen when they were re-introduced to gluten without their knowledge. It is important to note that this study has been critiqued for its short duration and for not adequately addressing nocebo (negative expectation) effects. Should You Be Eating Wheat at All? In addition to considering the effect that wheat has on stomach problems, there is the question as to whether or not wheat has negative effects on one's overall health. Most of the wheat that is being consumed in the modern diet has been refined - this means that its bran and germ have been removed. Refined carbohydrates, such as non-whole-grain wheat, have been linked to the skyrocketing rates of obesity, diabetes and cardiovascular diseases within our population. Given that, it is a shame that most people are eating as much wheat as they are. But refined carbohydrates are not the whole picture when it comes to wheat. The U.S. Department of Agriculture recommends the consumption of whole grain products, including whole grain wheat, as an important part of a healthy diet. Whole grains are seen as important due to their fiber content as well as the fact that they are a source of some important vitamins and minerals. On the other hand, Paleo diet enthusiasts and authors like those of ​Wheat Belly and ​Grain Brain link wheat consumption, whether refined or whole grain, to all sorts of health ills. One of their anti-wheat arguments has to do with the fact that eating grains such as wheat are a relatively new phenomenon when the evolution of mankind is looked at as a whole. In other words, they purport that our bodies were not evolved to properly digest grain such as wheat. They recommend grain-free diets for optimal health. They offer evidence that the fiber and vitamin benefits of whole grains have been overblown and that these nutrients can be fully obtained by eating a varied diet of animal and plant foods. Pointing out the obvious - the bottom line is that the relationship between wheat consumption and IBS and other health problems is confusing! As of now, most digestive health experts will agree that although there may be some crossover between IBS, wheat allergy, and NCGS, most people do eat wheat and don't have IBS, and most IBS patients eat wheat without noting much difference/effect. But, the decision as to whether or not to continue eating wheat is a personal decision and one that is best made with a discussion with your doctor. If you think your IBS and overall health would benefit from a wheat-free trial, please be sure that you have already been tested for celiac disease before trying an elimination diet. An elimination diet is the best way to see if eating wheat does make your IBS symptoms worse. Biesiekierski, J., et.al. "No Effects of Gluten in Patients With Self-Reported Non-Celiac Gluten Sensitivity After Dietary Reduction of Fermentable, Poorly Absorbed, Short-Chain Carbohydrates" Gastroenterology 2013 145:320–328. Elli, L., et.al. "Diagnosis of gluten-related disorders: Celiac disease, wheat allergy and non-celiac gluten sensitivity" World Journal of Gastroenterology 2015 21:7110-7119. Shahbazkhani, B., et.al. "Non-Celiac Gluten Sensitivity Has Narrowed the Spectrum of Irritable Bowel Syndrome: A Double-Blind Randomized Placebo-Controlled Trial" Nutrients 2015 7:4542-4554. Mozaffarian, D., et.al. "Changes in Diet and Lifestyle and Long-Term Weight Gain in Women and Men" New England Journal of Medicine 2011 364:2392-2404. "Dietary Guidelines for Americans 2010" U.S. Department of Agriculture.